What’s life without social media? Honestly, full of curiosity but it definitely gives me a breather. Although I cheated on whatsapp when I have to call Bibik to video chat with Mum. Other than that, here I am back to basics with texting, emails and letters. Back to writing and journaling of which I used to love. “Back to my first loves” he said. My sincere apologies for unanswered messages on Whatsapp (im hardly on it) and social media. Texting me is the way to go. Back to first loves, also meant for the love of libraries. If only, the State library was merely a walk away. The whole idea of immersing myself with a book; finding my little cosy corner in the library full of character which I feel is part of a good meditation on a Saturday morning. I knew Azura will agree with me on this one. Ayden and Ali decided to come with me to the Library the other day, Ayden was happily glancing and hopping through the library and picking out picture books with cars and buses on its cover. And Mummy is thoroughly happy with her Marie Kondo‘s books that came in at the most apt timing! Also very excited to try out some kitchen experiments with Chrissy Teigen’s Cravings cookbook! Ayden’s all time favourites are the Maisy books as well as Spots but these days anything with cars and buses really. And sometimes helicopters or aeroplanes too. Like any active toddlers, his attention span can for from 5mins to 0 in a second! Some mums are lucky enough to incorporate bed time storybook routine, for me, I’m just content if he sits with me reading a couple of books a day without any distractions. Our goals for 2018! 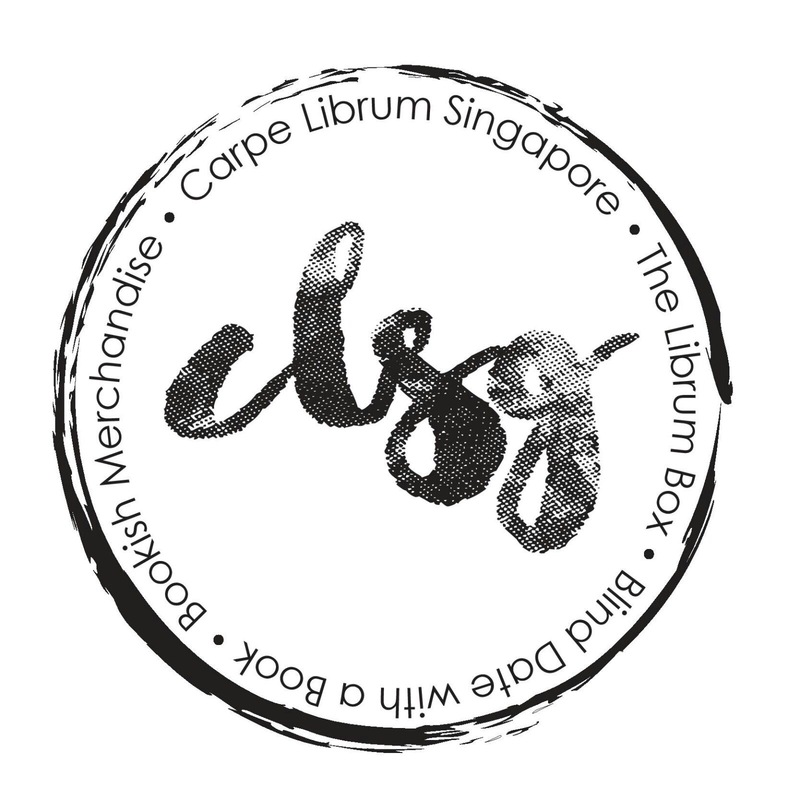 A quick shoutout to Carpe Librum Singapore! I am so proud of my good and close friend, Azura and my junior in Secondary School, Huda for creating a wonderful business set up for their love of books and reading. 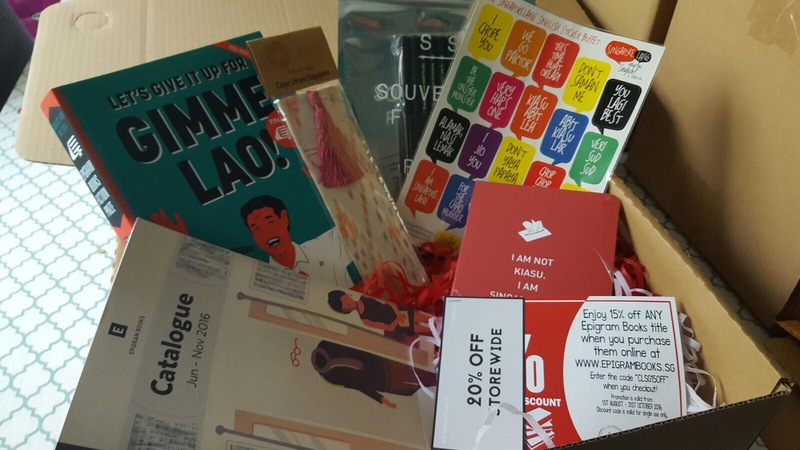 They specialise in curating a bi-monthly book subscription box called the “Librum Box”. The Librum Box is a thematic book box that consist of 1 book and 4 or 5 other book inspired merchandise. The book is picked carefully based on the chosen theme and is a current bestseller, new release or a special edition of an all-time favorite title. The box is curated by the owners, Azura & Huda or a special guest curator. Each box is retailing at $35 (inclusive of personal delivery to your doorstep). I reckon it’s a great idea! For all you avid readers out there or running out of gift ideas? Why not gift a friend a Librum Box. Well, who doesn’t love surprises in the mail? Check out the July/Aug librum box, can you spot the local twist! Its great especially in conjunction with Singapore National Day just passed! I would have subscribed if i was in Singapore! If you are interested in their Librum box and wish to be on our mailing list, simply drop them an email at carpelibrum.sg@gmail.com or follow them on Facebook and Instagram to find out more! Here’s a link of a fellow blogger and avid reader unboxing the Librum Box!